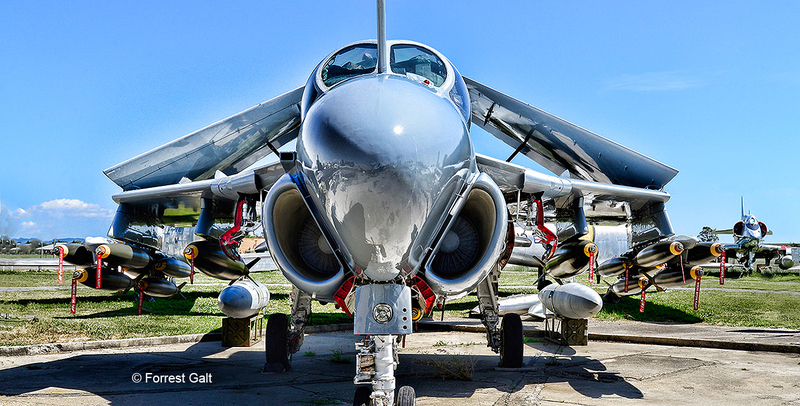 A-6E Intruder #155595 at the Pacific Coast Air Museum, freshly repainted and laden with inert ordnance. 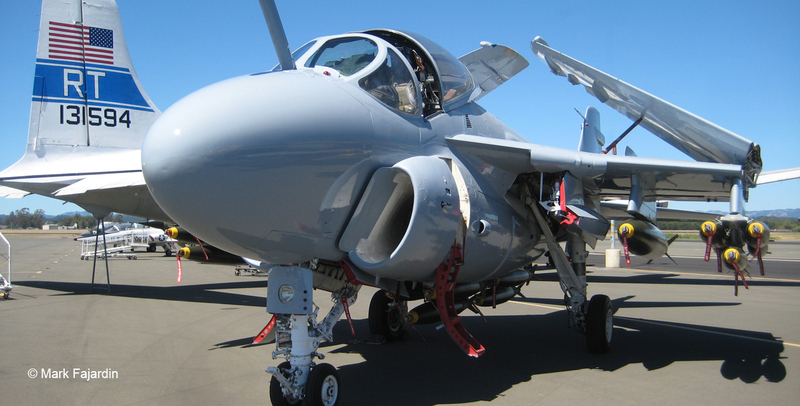 The A-6E got a new makeover just in time for the 2013 Wings Over Wine Country Air Show. Here she is, in a Dark Ghost Gray paint scheme, circa 1991. She also now carries an impressive load of inert bombs. The Intruder at the 2016 Wings Over Wine Country Air Show. 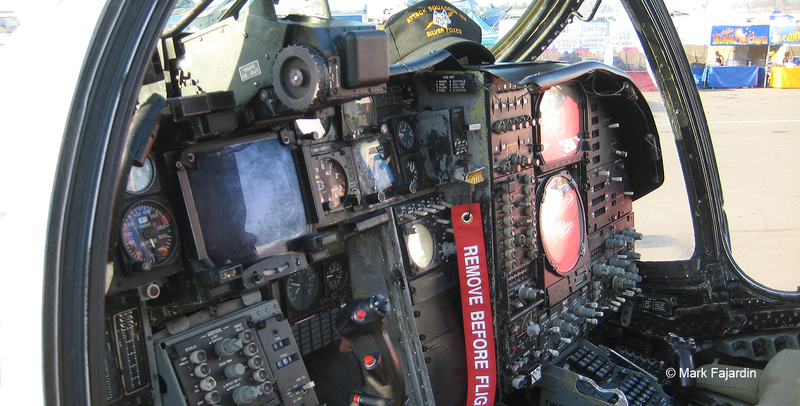 The Intruder cockpit. The designers placed the pilot and bombardier/navigator side by side, to facilitate communication and teamwork. With the right team, it worked extremely well and the Intruder was an effective and feared adversary. 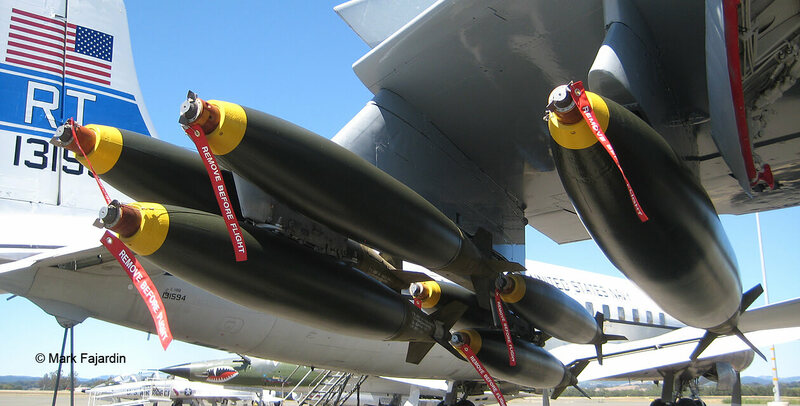 Just before the 2013 Wings Over Wine Country Air Show, the Intruder was equipped with a full load of inert bombs. Here they are shown freshly painted and ready for tail assemblies. 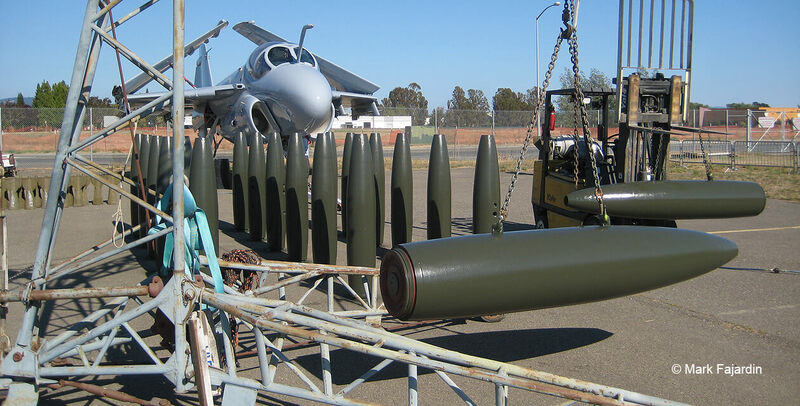 Mark Fajardin loads inert bombs onto the pylons of the A-6E Intruder. 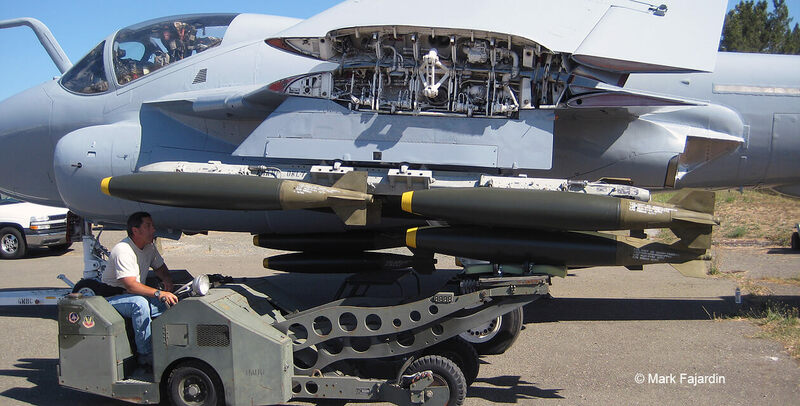 In 2013, our Intruder was equipped with an Alpha Strike bomb load of eighteen Mark 82 and two Mark 84 inert General Purpose bombs. 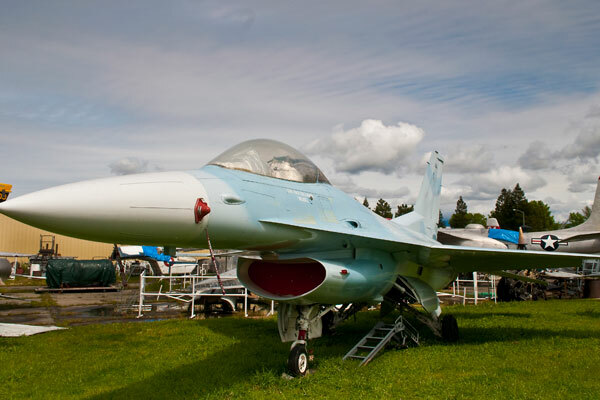 Here she is, looking ready to strike at the 2013 Wings Over Wine Country Air Show. 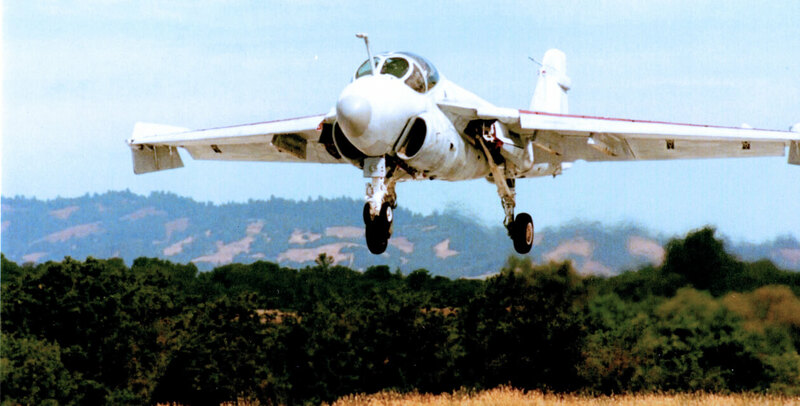 Ready to touch down: Intruder 155595 lands on runway 14 at the Charles M. Schulz-Sonoma County airport on June 24, 1994, ending 26 years of service and completing nearly 7,000 flight hours since she was built in 1968. 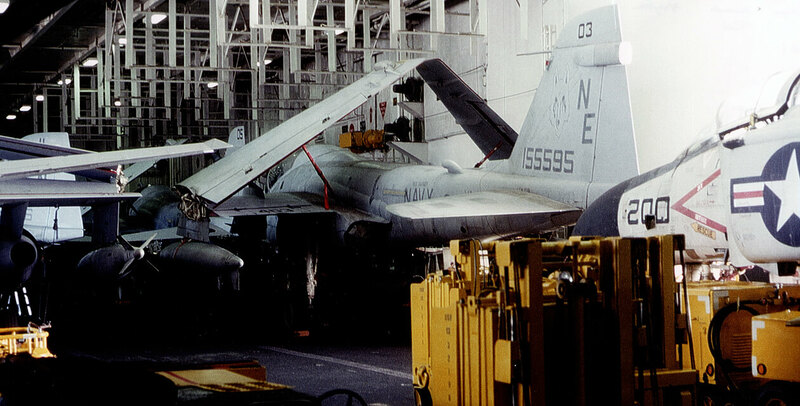 The PCAM A-6E Intruder inside the hangar deck of an aircraft carrier during one of her many tours of duty. A-6E buno 155595 was built by Grumman Aircraft Corporation, Bethpage, New York, on 31May68 as an A-6A. 595 went to VA-128 the 'Golden Intruders' from June 1, 1968 to December 31, 1970 to train A-6 flight crews. 595 was then transferred to her first combat squadron VA-165 the 'Boomers'. The Boomers departed for Vietnam on board the USS Constellation CVA-64 on Ol Oct 71 to 30 Jun 72. She then went TAD to VA-115 the 'Arabs' subsequently 'Eagles' from Jun 72 to Jul 72. She then returned to the Golden Intruders for training of A-6 flight crews and maintenance at NARF Alameda on Aug 72 to Sep 73. 595 transferred to VA-196 the 'Main Battery' in Oct 73. VA-196 went on a WestPac + 10 cruise on 17 Sep 74 to 20 May 75 onboard the USS Enterprise CVAN-65. 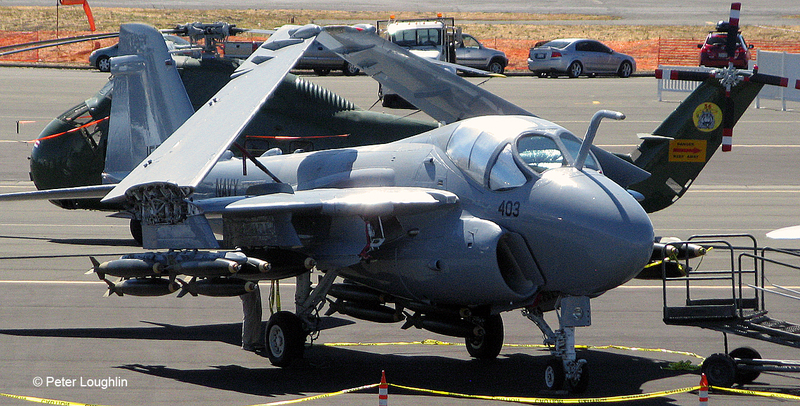 When VA-196 returned home, 595 was sent back to Bethpage to be modified into an A-6E. 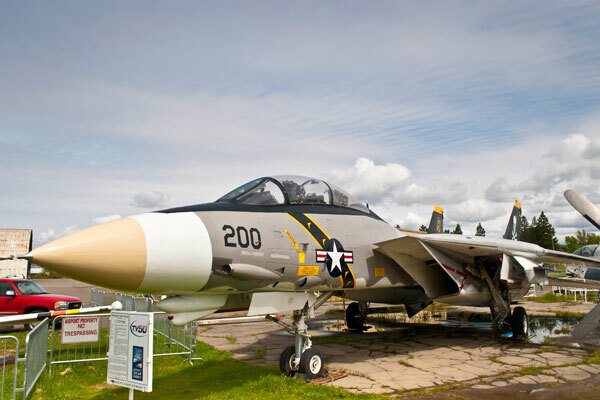 The Navy acceptance flight was flown on 25 May 76 and 595 returned to the fleet. Her next unit was her first combat unit, VA-165 for a WestPac on 12 Apr 77 to 21 Nov 77 onboard the Connie. The year of 1978 was a quiet one for 595 as she was assigned to VA-145 the 'Swordsmen' from Feb 78 to Dec 78. VA-145 did not deploy during this time. However the quiet would soon be over, as 595 was transferred on Nov 78 to VA-52 the 'Knightriders' which deployed onboard the USS Kitty Hawk CV-63 on 30 May 79 to 25 Feb 80 for a WestPac + 10. VA-52 then left again onboard Kitty Hawk on Ol Apr 81 to 23 Nov 81 for another WestPac + 10. In Sept 1982, 595 left her longest owners, VA-52 and was sent back to Bethpage to be modified once again, to an A-6E TRAM. After her TRAM modification was complete, 595 transferred to VA-34 the 'Blue Blasters' for a Carib + Med + 10 deployment onboard the USS America CV-66 on 24 Apr 84 to 14 Nov 84. In Nov 84, 595 went TAD to VA-65 the 'Tigers' for one month and a total of 10.8 flight hours. 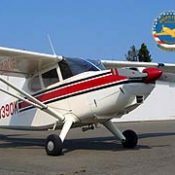 595 then went into storage on Feb 85 and was inducted on 04 Apr 86 into special rework to be rewinged under GAC Contract #NOOO19-85-0499 by DCAS/GSAC. On 30 Sep 86, 595's rewing was completed and she returned to the fleet once again with her original combat squadron VA-165 the 'Boomers' on 16 Oct 86. The Boomers deployed on 03 Jan 87 to 29 Jun 87 onboard the USS Kitty Hawk CV-63 for a World Cruise. It was moving time again for 595. However this time it was back to old friends with VA-52 in Feb of 1989. The Knightriders packed up for deployment onboard the USS Carl Vinson CVN70 on O5 Sep 89 to 09 Nov 89 for a NorPac. Then home for two months and back out on the Vinson for a WestPac + 10 on Ol Feb 90 to 31 Jul 90. 155595 was now twenty-two years old and her country was about to call her back to battle. In 21 Aug 90, 595 transferred to VA-155 the 'Silver Foxes', and soon would be doing what she was designed to do. VA-155 deployed onboard the USS Ranger CV-61 Air Wing CVW-2 for a WestPac + 10 + Persian Gulf on 08 Dec 90 to 08 Jun 91. This deployment would see 155595 drop weapons in anger for the first time since 1972. When the dust settled in the Iraqi desert, 595 had destroyed 56 tanks and two Iraqi gunboats, earning the nickname "War Eagle" from her crews. VA-155 flew 635 sorties and dropped 2,289,940 pounds of ordnance on Iraqi targets. 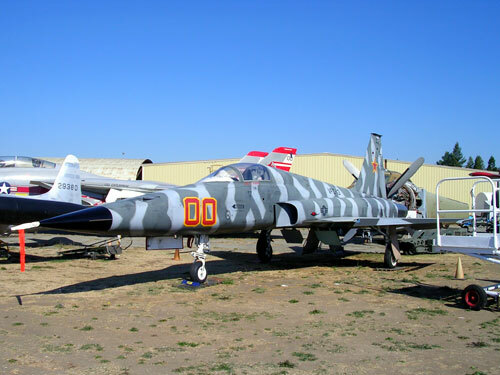 Unfortunately VA-155 would lose one Intruder to AAA attack. LT. Tom "TC" Costen and LT. Charlie "Tuna" Turner flying as Dash 2 in a four ship formation were hit by AAA as they pulled off target after mining the UHM Qasr Port in Iraq. Two boats later sank in the minefield. All eight Intruder crews received the Distinguished Flying Cross. LT. Costen and LT. Turner also received the Purple Heart, Posthumous. Intruder 155595 was the "Strike Lead" on this fateful night. 155595 would go on to make one last cruise with VA-155 onboard Ranger on 0l Aug 92 to 31 Jan 93 for operation Southern Watch/Provide Relief. 155595 returned to NAS Alameda on 13 Apr 93 for SDLM Induction. On 10 Feb 94, 155595 was stricken from the Navy inventory. 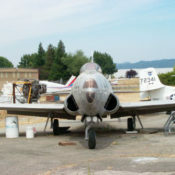 24 Jun 94 Effective this date, aircraft BUNO 155595 is authorized a one time flight to Sonoma County Museum for induction into National Museum of Naval Aviation Organization. REF: CNO Washington DC DTG 251342Z May 94. 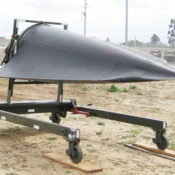 NAVAVNDEPOT ALAMEDA.